At the city’s two recent “Urban Greening” workshops, every Alameda park was beautifully displayed on big posters. We were presented with the results of the city’s recent park master-plan survey. We learned that almost all Alamedans visit our shoreline, natural areas and parks, and they rate our park system as above expectations. Of the less than 10 percent who identified desired improvements, the highest ranking improvement was creating more natural open space with hiking opportunities and a trail system. Everyone attending the workshop was then given the opportunity to list needed improvements, but, like the survey, the consensus was that we are mostly content with Alameda’s established parks. Beltline Park area - Marina Village on left. The park that got the most attention was an undeveloped park located on the on the old Belt Line railroad yard. 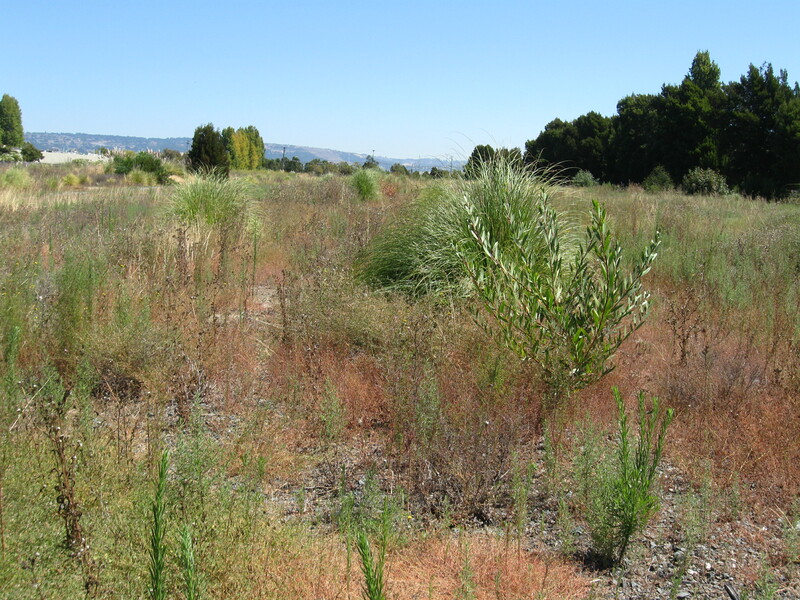 This 22-acre property is located in the heart of Alameda. Some years ago, Alameda resident Jean Sweeney discovered a 1924 contract that contained a clause allowing the city to buy back the land, and she successfully campaigned to change the 22-acre zoning from industrial to parks and open space. 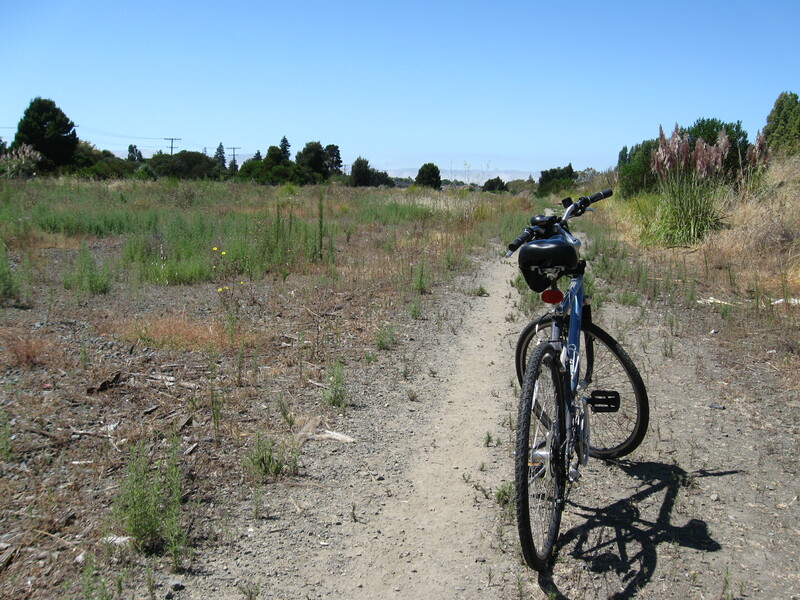 In July 2009, the city prevailed in court against the Alameda Beltline Railroad, acquiring the 22 acres and an additional 18 acres for the bargain price of just under $1 million. We then broke into work groups and worked on large table-sized maps of the Beltline property—writing, drawing, and sticking on notes. Those present expressed a desire to incorporate meandering pressed-dirt trails throughout the park that would highlight places and activities for all ages to enjoy in a vibrant, well-used natural setting. The overarching theme highlighted small activity areas with landscaped water features and rest stops. Ideas included a rock garden, a shrubbery maze for children to run through, and play structures for small children to enjoy. Basketball hoops or volleyball nets would allow for walk-in sports. Everyone present turned down large team-sport facilities requiring a large amount of parking, saying that Alameda Point was a better place for those facilities. But a small multi-use community center was welcome. There was also strong support for community food gardens, particularly near the Food Bank. As a bike rider, I’m hoping to one day have Beltline Park as another destination in which to relax and take in our natural surroundings. I’m also hoping we can incorporate some of the old railroad tracks from Clement Street throughout the park in sculptures, bike racks, railings, and the like so as to keep the history of the place alive. In the fall, there will be a presentation to the city council based on the citizen input from the workshops. With our first-ever park master plan, Alameda will be better positioned to compete for park grant money. This entry was posted in Environment, Parks and Open Space and tagged Alameda, Belt Line, beltline, parks, rail yard, railroad, railyard. Bookmark the permalink. I just read an article, on another blog from last year which stated that Alameda got a grant to come up with a plan. The grant was for 260,000, but the contract with the consultant cost over 300,000. (Isn’t our city essentially broke?) Seems like we could have built the park along the Beltway for that amount of money. What the city government is good at is hiring consultants, that conduct meetings with the community. The resultant “plan” is then put on a shelf somewhere and never acted upon due to lack of funds. This has happened numerous times, and I find it frustrating that all of this well meaning public input is going to waste.